Getting the best deal on a grain hauler insurance policy is more complicated than it needs to be. We made things a little easier. We can bring you up to 3 different grain hauling insurance agents who’ll compete for your business. A little competition goes a long way in getting you a lower price on your policy. How much does grain hauling insurance cost? Grain hauler insurance can vary widely from $5,500 to $9,000 a year. Sometimes even less or more depending on your experience and loss history! If you drive within a small operating radius, have a clean driving record, and pay your premium in yearly, not monthly, installments, your price tag should reflect the lower end of that spectrum. You can also ask your insurance agent for a higher deductible to bring the price down even further. Also, we aren’t talking about farm use only vehicles. These price ranges are for-hire class 8 trucks. These are just ranges. There are so many variables, it pays to shop around. But the best way to get a low price on your insurance if you haul around farms is to shop around. We can bring you up to 3 Quotes from three different agents. From there you can choose the policy that best meets your budget. Best of all—it’s free! Fatigue – Especially during harvest season, grain/wheat haulers work long, repetitive hours, going back and forth from the farm to the elevators. Clogged Air Filters – Filters clog quickly because of hauling in a dusty environment. Clogged hopper bottom trailers – Hardened gluten pellets in the bottom of your hopper, for example, will ruin a day. Hauling overweight loads – It’s tempting to overload the trailer in order to make fewer trips. The insurance underwriters are aware of these risks and these are factored into the premiums. On the whole, though, expect lower insurance when compared to other types of truckers. Liability Insurance – protects other drivers when you’re at fault during an accident. Typical limits for hauling non-hazardous materials such as barley, oats, rye, wheat, etc., are $750,000. Collision Coverage – Even if you’re hauling from one elevator to the next, accidents do happen. With collision coverage, the insurance company pays for damages in the event of a collision with another vehicle. This coverage includes both tractor and hopper trailer insurance. Comprehensive Coverage – You should be protected from other disasters like theft, vandalism, fire, and weather damage. Comprehensive coverages protects you from all of these. Cargo Insurance – Dry bulk haulers need insurance that covers what they are hauling. 9 months of work went into that load of grain, and the farmer needs to know he’s protected if something happens to his harvest on the way to the elevator. Most polices have $100,000 of cargo coverage. Towing and Storage Coverage – Basically roadside assistance, but for big trucks. This coverage pays for a tow truck to haul your vehicle to the shop if it breaks down on the road. Uninsured/Underinsured Motorist – With this protection, the insurance company doles out money to fix your vehicle even if the driver who hit you isn’t insured. Combined Deductible – Merges all your deductibles into one. This will save you money, protecting you from paying a separate deductible for each individual coverage. Debris Removal – Pays for the pick-up of any freight spilled onto the roadways. Sue and Labor – A.k.a. Loss Mitigation, this coverage protects you from any losses that follow a reported accident. Earned Freight – After an accident, the insurance company pays you for any shipment that you couldn’t complete, so you still get that month’s check. Wherever you are in the breadbasket, from Missouri, Kansas, the Dakotas, Minnesota, Iowa or Nebraska. 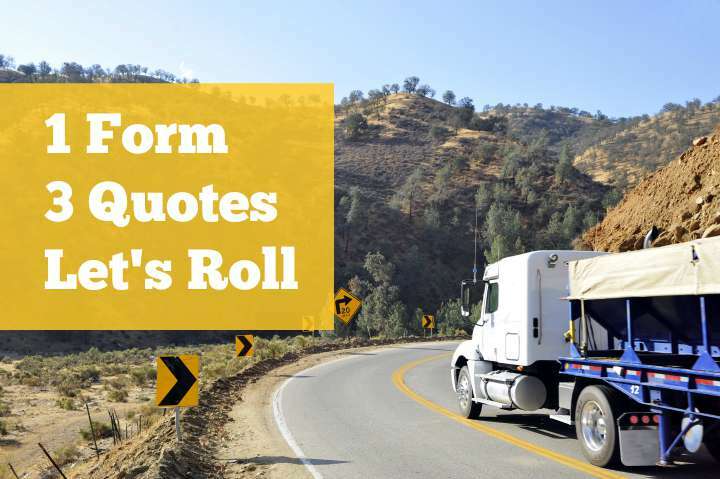 We have agencies that can offer different competitive quotes for your grain hauling operation. These agencies are also competitive with feed, seed and fertilizer haulers too. We can also help you secure the best deal on other types of agricultural trucking insurance. Getting choices is the key to getting the best deal. Our service is fast and free. Get 3 Quotes now.